M2 Rewards may log IP addresses (a unique number assigned to every computer on the Internet) in order to improve security, analyze trends and administer our offers. We track your movement within the site, the pages from which you were referred, access times and browser types. We use this information in aggregate and do not link it to you personally. 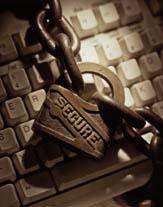 We take reasonable measures to protect all the personal information you provide at all times. We do not rent, sell or lease your personal information, and you may opt-out of the use of your information for marketing at any time. You also have the opportunity to correct or change the information you have provided to us.